I can’t believe it, but the forecast for tomorrow is calling for a wintry mix – that means SNOW! 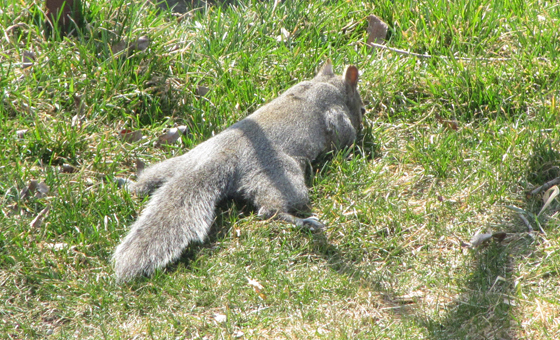 Why, just last week our neighborhood squirrel was too hot to even stand up straight! 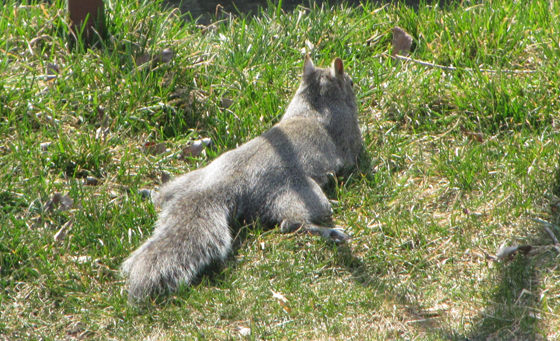 We watched this cutie scoot around on the ground for a while, foraging and eating while remaining flat on its stomach. In the end she scampered off, so we think she was just trying to keep cool. 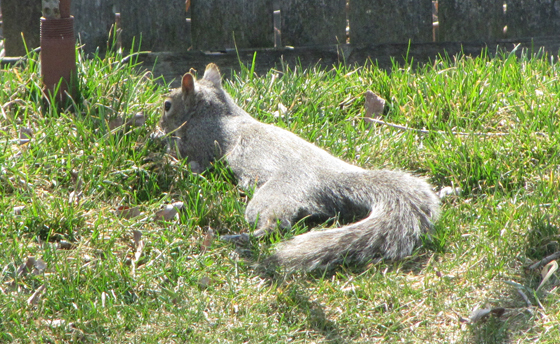 If you think this is cute, you won’t believe what I got to do last week – feed a baby squirrel! This entry was posted on Wednesday, April 7th, 2010 at 9:48 pm CET and is filed under Funny, Nature, Weather	with tags . You can follow any responses to this entry through the RSS 2.0 feed. You can leave a response, or trackback from your own site.